Free Christian ebooks - Why Suffering - Understanding God - and more. Check out our free Christian eBooks; easy to download and print. Great teachers' resource. There are no sign-ups and we don't ask for donations - They're FREE! A collection of easy-to-read illustrations to help explain the amazing message of the Bible and Salvation. (18 pages) Approx 1 MB download. A collection of easy-to-read illustrations to help explain the amazing message of the Bible, God and why there is suffering. 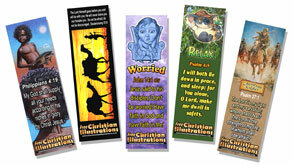 A collection of easy-to-read illustrations to help explain the amazing message of the Bible and its relevance to you. A collection of easy-to-read illustrations to help explain the amazing message of the Bible and the Christian way of life. An easy-to-understand Biblical eBook that clearly states the Christian message of salvation. In PDF format – ideal for PC’s, Macs and Printing. This book is produced to teach children the wonderful love the Lord Jesus Christ has for them. An easy-to-understand 'Gospel' eBook featuring Lazarus (Luke 16). An easy-to-understand 'Gospel' eBook featuring Zaccheus (Luke 19:1-10). An easy-to-understand 'Gospel' eBook featuring Noah (Gen 6-9). An easy-to-understand 'Gospel' eBook featuring the Lame Man (Mark 2: 1-12). An easy-to-understand 'Gospel' eBook featuring Paul (Taken from Acts). A fully illustrated, ten page Christian eBook that gives a clear presentation of the Gospel versus the message of evolution. A fun Christian eBook using cute Australian animals to help teach Biblical promises and encourage Christians of all ages to apply them to daily circumstances. There is no charge for these ebooks. If anyone desires these Christian ebooks they can be downloaded without charge or obligation. Excellent for classroom prizes and gifts. CLICK ON BOOKMARKS TO SEE MORE.